S02xE02 – The townspeople are closing up shops and have set up a missing person’s post for anyone who can’t find a loved one. The town is a mess in the aftermath of the curse being broken. And they are looking for their prince to tell them what the next move is. David isn’t sure himself, but asks for two hours so he can come up with something. He makes a visit to Regina demanding to know who’s hat she used, but she won’t say. So he takes the hat with him and leaves. Later looking through Henry’s book, he finds out that it’s the Madhatter’s hat, something we viewers already knew. David isn’t entirely familiar with the Madhatter or his background, but knows he needs to find him. Maybe the Madhatter can bring Emma and Mary Margaret back. Meanwhile Regina herself is desperate to get her magic back. For some reason she thinks it’s the only way to get Henry to come back to her. So she goes to Mr. Gold to ask him for the book. The book that belonged to her mother, and the book that will help her restore her magic. 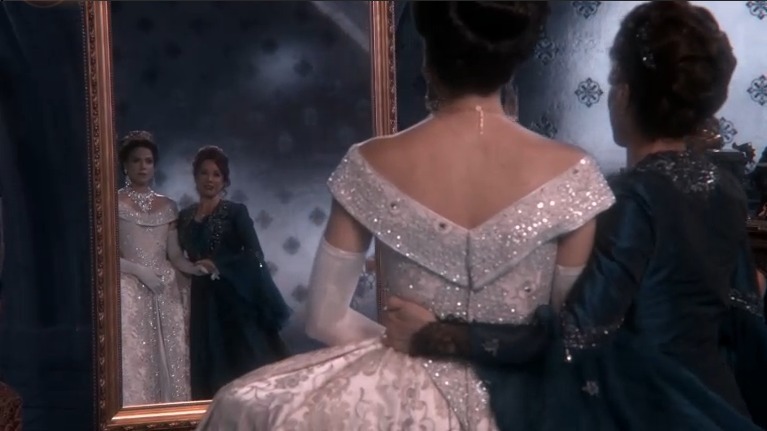 But before we see any of this happen, we get to have a flashback on Regina’s resistance against her mother. In the Enchanted Forest world Regina is about to marry Snow’s father, the King. She has already lost her true love due to Snow’s mistake of trusting Regina’s mother to help, and is now reluctant to marry per her mother’s command. We get to see a softer side of Regina in the flashbacks, but as we watch we see that she hasn’t yet learned magic and is scared to do so, but if that’s what it takes to rid herself of her mother’s overbearing watch, then that’s the way she will go. So she summons Rumpelstiltskin for the first time and is coaxed by him to trap her mother by using a looking glass. Evil mother is gone, but in comes evil Regina drunk on power. Back in Storybrooke Regina has gained possession of the book, and also magic. She is now a threat to the town and proves so by throwing people around rooms. She’s so tough. Henry gives himself up and goes with her. He’s the only thing she was really looking for. The townspeople are high roading it out of there after that debacle. Only one problem though. If they leave Storybrooke they forget their magical world self and can only remember their Storybrooke self. Sneezy found that out the hard way. The townspeople don’t seem to care though, until David shows up to stop them and with his princely ways talks them into staying. Go Prince Charming! David then makes a visit to Mr. Gold and asks for some magic of his own, the kind that he gave him to find Snow back in the magical world. So Gold gives him a bottle, and David puts it on the hat and it leads him to the Madhatter who has been trapped in his car upside down this whole time after the wraith. Good thing David went looking for him! David says they need to talk, but we don’t know what was said. Hopefully we will soon. Now that Regina has Henry, she tells him things will be better, and that he can have friends over. And he retorts saying no one will want to come around there because of her. This seems to click with Regina, because when David shows up prepared to fight-Regina-with a sword mind you-to get Henry back, she willingly lets Henry go with him. Maybe that’s progress? No I’m thinking not. We next find David and Henry entering Granny’s Diner, Henry whispers to Geppetto where his son is and then they sit and talk about Snow and Emma, because we found out that the magical world really isn’t gone, Regina just doesn’t know how to get back to it. Well they gotta figure it out soon, because Emma and Snow are Mulan’s prisoners, and things aren’t going so well especially since it seems they’re sharing a cell with Regina’s mom. Eek! And Geppetto goes to find his son, but Pinocchio is nowhere to be found. I think he became a real boy again and took off. Boo. Best of the episode: Seeing a softer side of Regina again. Not that it was long lived, but refreshing to know that at one time she had a heart. Worst of the episode: Sneezy not knowing who he really is again. I feel so bad for him. But as Grumpy told him, they will figure out a way for him to remember, so I hope that happens. 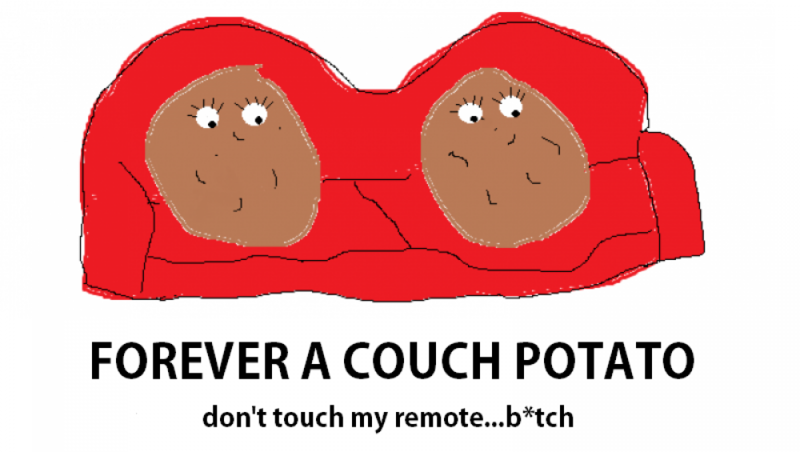 Where did this episode leave us? : Knowing there’s a way back to the Enchanted Forest, and I’m guessing it’s through the hat somehow. It’s unfortunate it’s damaged, but I think Charming will figure it out. What the episode ruined for us: Pinocchio. Where did he go? ?